Do you realize how much lemons are used in our daily lives? All the cleaning products that are in our home that has the word lemon on it. This means that the product has an aspect of the lemon in it. Just stop and do a mental evaluation of what has lemon in your product. Now, think about how often lemon is used in food. Lemon juice in water is not only refreshing but can help balance the ph levels of your body and help detox your body as well. Think of how different cultures use a sprinkle of fresh lemon on their salad, highlight the flavors in seafood, or preserve the color and taste of apples and avocados. Here is a short list of 13 ways lemon essential oils can be use around us and on our bodies. 1. Respiratory Aid – If you or someone has wheezing, cold or cough put some lemon oil in a humidifier to help ease it. 2. Itchy throat – Add a couple drops of lemon essential oil to warm water and honey can help. 3. Hair Highlights – Use a couple drops to lighten your hair. Use caution since it works well. 4. Nail Fungus – Lemon oil is effective to fight nail fungus. 5. Cold Sores – Apply directly on the cold sore for pain relief. 6. Change Your Mood to Calm – Combine lemon essential oil and lavender oil in a diffuser and it can help calm the mood or place it directly on the skin for the same effect. 7. 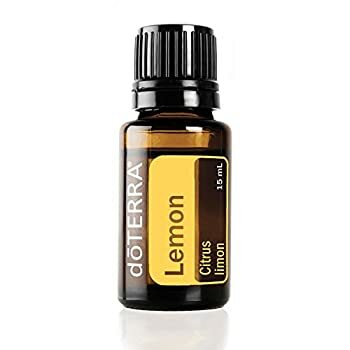 Focus – Diffusing or inhaling lemon oils can clear your mind and help you focus. 8. Boost Your Water – Add a couple drops to a glass of water for an energy boost and a lemony taste. 9. Food Flavoring – Instead of using lemon grind use a couple of drops of lemon essential oil. Examples, Lemon frosting, lemon cookies, spray if with olive oil on a salad, lemon caper chicken…you get the idea. 10. Natural Cleaner – Use it to polish silver, stainless steel, furniture polish, and on natural stone counters and floors. 11. Moldy laundry – Use it to take out the moldy smell of that laundry you forgot in the washing machine. 12. Freshen Up and Disinfect – Diffuse or spray lemon oil and neutralize odors at their source. Can be used on counter tops also. 13. Remove Sticky Gunk – Lemon essential oil can remove the sticky, greasy gunk. This means grease, sum, sap or the gunk leftover from peeling off stickers and price tags; a couple of drop will do the trick to remove the mess. 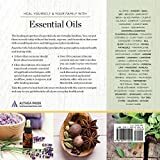 Let me know what you think about Lemon Essential Oils or how you use it. NextCleaning with Lemon Oil – Remove grease stains on wood. 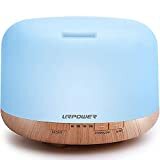 SpaVapor Essential Oil Diffuser Review- The Aromatherapy Diffuser 4U?